Although food and wine pairing is not as rigid as some believe it to be, there are certain guidelines that can help you along the way. Certainly, choosing a red or a white wine doesn’t have to be cut and dry. 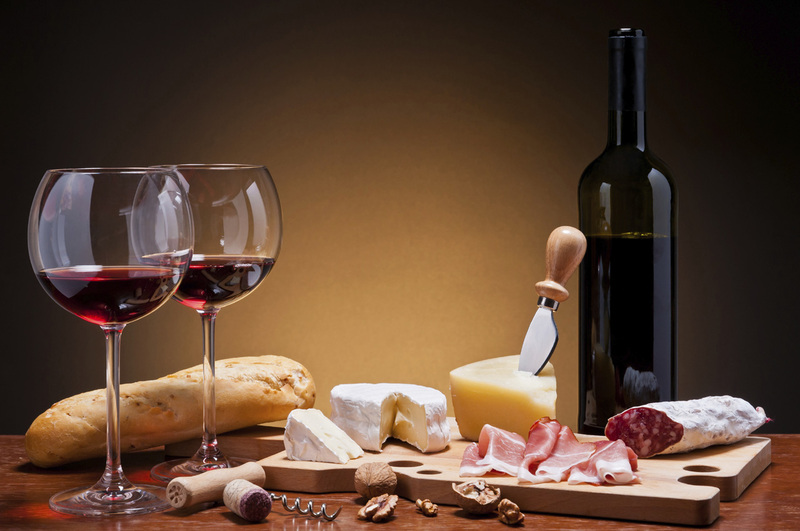 but for most of us, we need help in determining what wines are best to serve with which foods. Let’s take a look at wine and food pairing simplified. Lobsters and light red wine. Seafood typically calls for white wines, but not always. In the case of lobster, a light red wine is sufficient. Here, choose a wine such as Pinot Noir or Garnay to satisfy your desire. You may be surprised by just how much of a satisfying pairing you can achieve. Sweet wine and desserts. You’re planning to serve up a delectable dessert. Your guests may have already consumed a dinner wine, but now it is time to focus on a dessert wine. Dessert wines include Sherry, Port, ice wine and late harvest wines. These choices are particularly sweet and will complement the dessert served. Delectable cheeses. Some gatherings include much dispensing of hard cheeses. This is practically evident if your get together is heavy on the hors d’oeuvres. In this case, you need to find the wine to match the cheese. A Chardonnay is always right for this occasion. But there are other wines that should be considered, including Roussanne, Viognier and Marsanne. Soft cheeses. Brie, Camembert, Teleme and feta are among the soft cheeses that some people like. They should also be paired carefully with certain types of wine to ensure that full flavoring is retained. The interesting thing about soft cheeses is that you have several wine choices that are sufficient. Sweet wine is always a good choice. but rich white wines, sparkling wines and even dessert wines can be sufficient. This is one reason why hosts will often opt for soft cheeses over hard cheeses because of the wine choices that are available. Roasted vegetables. Meals that are dominated by roasted vegetables should be paired with either white or red wines, dessert wines or dry white wines. Much depends on your personal tastes, but serving one, two or more choices may be sufficient. If you are a vegetarian, enjoying the right wines is always possible. Indeed, some find a vegetable-based meal paired with delectable wines to be the best foodie combination you can find anywhere. White meat. White meats, such as chicken and pork, are usually paired with white wine, but there are other choices available too. Indeed, white meats go great with rich whites such as Chardonnay, but light reds such as St. Laurent and medium reds such as Grenache can provide a satisfying service too. Enjoy the many varied options here as you shop for wines. Red meats. Red meats have their own special pairings, but there are some variances allowed. Typically, imbibers choose a bold red such as Cabernet Sauvignon or Syrah to go with their beef tips or sirloin. Both are perfect choices, but what you don’t want to dismiss are certain light reds, such as Pinot Noir, St. Laurent, and Garnay. Happily, making the wrong choices with wine is not the disaster that some may still think that it can be. Sweet wines always go with sweet wines and if your meal is hot, then sweet wine again is fine. If you have a special bottle, save it for an occasion where you can enjoy it best. This may mean dining with your sweetheart alone instead of saving it for a party. Opening a bottle is a great opportunity to celebrate, savor the memories and to look ahead to what life holds for you and your love explains Luekens Liquors.